Toothaches can be a distraction and an inconvenience, but they don’t always seem like a crisis. You may not even notice a toothache, unless you bite down on something. But toothaches are really kind of an S-O-S from your body. If you get one, give us a call at Durham Dental Group. The most common cause of a toothache is a cavity, and those are easily treatable with a filling. But cavities aren’t the only cause. A toothache may also be the result of a damaged filling, a broken tooth, infected gums, or an abscess. If you have a toothache that lasts for more than a couple of days, it’s important that we find out what’s going on, so that we can treat it. In some cases it could be an infection that might spread to other parts of your body. Most toothaches are indications of tooth decay. The best way to prevent that is to practice a good dental health routine that includes brushing and flossing twice a day. That will ensure your teeth and gums are healthy. It’s also important to get cleanings and checkups every six months. Durham Dental Group can provide relief for all manner of toothache pain. We also offer general and cosmetic dentistry, and wisdom tooth extractions. Schedule an appointment with us today. There are two words that can strike fear into the bravest among us: root canal. But at Durham Dental Group, we don’t think it should be that way. Root canals don’t cause pain, they relieve it. The technical term for a root canal is endodontic therapy. After an access hole is drilled in the surface of the infected tooth, the damaged interior, or pulp, is removed. The remaining tooth is thoroughly cleaned, filled, and sealed. A crown is placed over the whole thing to protect it, and provide a natural-looking appearance. The good news about root canals is that most of them are successful, and result in the treated tooth being saved. Afterward, that tooth will no longer be sensitive to hot and cold. You’ll need to make at least one follow-up appointment for a permanent crown to be put in place. The one we put in at the time of the root canal is only a temporary. At Durham Dental Group, we perform root canals, and other procedures such as wisdom tooth extractions. We also provide general and cosmetic dentistry. Schedule an appointment with us today. Do you ever hesitate to smile because of crooked teeth? From overbites to underbites to open bites, there are lots of different ways teeth can come in crooked. At Durham Dental Group, we can correct your bite with with braces. Everyone seems to want straight teeth. It doesn’t matter how old you are. Millions of adults are wearing braces nowadays; it’s on the order of one of every five. That’s a lot of straight teeth! Metal braces are proven to be the most effective way to realign teeth. That’s probably why they’ve been around so long, and are the first thing most people think of when they think about braces. Even people with severely misaligned teeth can achieve a beautiful smile from metal braces. Invisalign clear braces are increasingly popular in teenagers and adults alike. They produce excellent results, and unlike with traditional braces, there are no wires or brackets or rubber bands. Even better, they are almost undetectable to people who are standing just a few feet away from you. 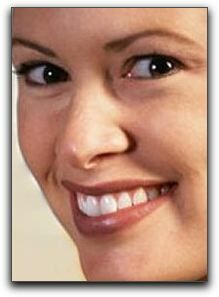 One of the things that people like best about Invisalign clear braces is that they are removable. For best results they should be worn at least twenty-two hours a day, but you can take them out at mealtime, and when you brush your teeth at night. To find out what style of braces are best for you, schedule a consultation with Durham Dental Group. We also provide general and cosmetic dentistry, and services like wisdom teeth removal. Make an appointment with us today.